In response, China said it would impose more taxes on $60 billion in US goods. The escalating trade conflict between the two world biggest economies shows no signs of abating with new moves from the Trump administration, followed by China’s announcement of retaliation. 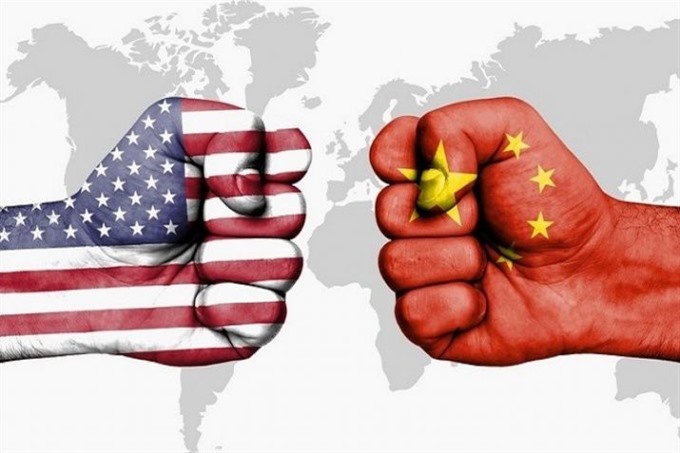 The US-China trade war started in March when US President Donald Trump threatened to impose a 25 per cent tariff on $50 billion worth of Chinese imports. All attempts at avoiding the tariff war fell apart and the tariff hike took effect in early July. This could develop into a stubborn battle with many scenarios, which would have immediate and longer-term impacts on many countries, including Việt Nam, and may lead to different policy responses. Competition between major powers that leads to changes in the world order is not a new issue. It springs from the calculation of countries on their national interests in political-economic leverage, as well as their dominant role in the world. This issue was broadly discussed during the Cold War when the United States and Soviet Union fought for global supremacy. After the collapse of the Soviet Union in the early 1990s, the world transitioned to a unipolar system with the United States as its centre. Now, the international system seems to be in favours of multipolarity with the rising roles of emerging economies such as Brazil, Russia, India and China (BRICs), along with the relative decline of the dominant roles played by the US and EU. In this process, the growth of China has had major impact on the world. After outstriping Japan to become the world’s second-largest economy in 2010, China has advanced strongly and expanded its influence externally through ambitious and interlacing trade and investment around the world. There are three prevailing opinions on how China is rising. Firstly, China is a very big and attractive market with over 1.4 billion people along with a fast-growing middle-income class. It has been the biggest market of most multinational corporations as well as being an important trade partner of many counntries. Secondly, China should play a larger role matching its development and influence. Together with emergence of other economies, the G20 has given developing countries a bigger role in shaping the global architecture. Developing nations also play a crucial role in international organisations. In 2015, the International Monetary Fund (IMF) approved China’s renminbi as one of the world’s main currencies. This was a milestone that underscored the country’s rising financial and economic heft. However, there are also concerns that China’s expansion will affect the dominant roles of large countries, as well as China’s behaviour with other nations, especially in territorial disputes. In this context, the US strategy toward China has reflected these views. Though US policy has changed over time, many policy analysts have agreed that the United States has always wanted to restrain China’s ambitions. Under the Obama administration, the Unites States turned towards Asia-Pacific. The “pivot” to Asia policy was portrayed as confronting China to take the leadership in the region. One important part was Obama’s push trade in Asia through the Trans-Pacific Partnership (TPP). However, this agreement was abandoned under Trump administration. In the time of President Trump, the US policy has become more direct. The US wants China to play fair on trade, seeking to reduce a widening trade deficit with China. It has requested China to enforce the protection of intellectual property rights and stop manipulating its currency. This strategy nevertheless raises doubts. Has the US achieved the desired results from pursuing a trade war with China as both theory and reality show that trade wars do not bring positive results for any party? Is this a wise way to contain China’s ambitions, especially in its technology development? The US can achieve the goal of cutting its trade deficit with China, but it may also self destruct its role as a leader and advocator of development co-operation policy. In the long term, confidence and trust of countries in a reliable super power will also be negatively affected. For China, this is also a big test. China is a large emerging economy and it wants to enhance its role as a super power. However, its behaviour has failed to build belief and the confidence among the global community. As a rulemaker, China’s One Belt One Road initiative is vast and promises to expand its soft power in Asia, Europe and Africa by creating much-needed infrastructure. The idea of boosting connectivity given the weakening effect of tariff reductions should be hailed, but this idea still draws criticism when it is linked with political and sovereignty issues. This demonstrates that confidence remains a big issue for this country which requires policy and behaviour adjustments to ensure stability, sovereignty and economic development in the country and the region. The US-China relationship is not the story of only two countries but also involves other countries and international institutions such as the World Trade Organisation (WTO). Việt Nam is a small but highly open economy (total import/export turnover equal to nearly 200 per cent of GDP). The country is vulnerable to external shocks. The US-China trade war and other trade conflicts, if they escalate, will affect Việt Nam’s economy. Việt Nam needs to pay attention to the following issues in order to ensure its sovereignty and a stable environment for sustainable development. Việt Nam has pursued mulilateral diplomacy while maintaining good relationships as well as signing free trade agreements (FTAs) with important partners. Participating in bilateral and multilateral mechanisms is a good platform for the country to diversify markets, reduce dependence on one or two markets and attract more high-quality foreign direct investment (FDI). This is a good policy that we should continue to promote. In the context of global uncertainties, Việt Nam has to do more to ensure macroeconomic stability and increase the resilience of the whole economy. Its macro policies need to be flexible enough to absorb external shocks, especially focusing on strengthening the banking system. The risk management capacity of the Government and enterprises should also be enhanced together with institutional reforms in order to develop inner strength and increase competitiveness and efficiency. It needs to keep a close watch on the global situation to be well-prepared for different scenarios. At present, trade wars are not having a large impact on the domestic economy, but in the long run, if they continue, the risk of instability will negatively affect investment, monetary policy, exports, capital flows, trade and growth in the country. * Võ Trí Thành is a senior economist at the Central Institute for Economic Management (CIEM), a member of the National Financial and Monetary Policy Advisory Council and a listed arbitrator of Vietnam International Arbitration Centre (VIAC). The holder of a doctorate in economics from the Australian National University, Thành mainly undertakes research and provides consultation on issues related to macroeconomic policies, trade liberalisation and international economic integration. Other areas of interest include institutional reforms and financial systems.